Many school districts are seeking tools to use in the development of bullying prevention strategies and activities. The purpose of this Bullying Toolkit is to provide information to aid efforts to prevent bullying. The web links on this page are to websites that provide information and resources on bullying prevention. The PowerPoint, “The Harsh Reality of Bullying”, may be used as an introduction on the impact of bullying and why it is important for schools to develop and sustain bullying prevention strategies. The Department of Education shall develop a model policy regarding bullying, that may be revised from time to time, and shall post such policy on its website in order to assist local school systems. (d) The Department of Education shall develop and post on its website a list of entities and their contact information which produce antibullying training programs and materials deemed appropriate by the department for use in local school systems. Currently, resources and intervention for bullying is rarely considered and almost never researched. The public, including professionals are so outraged over the trauma of bullying on victims including children and adult employees that our emotions cloud our objective judgment. 1). Resources must be included for all victims that may include counseling and psychotherapy. 2). Zero option policies must be instituted in schools and in the workplace. 3). 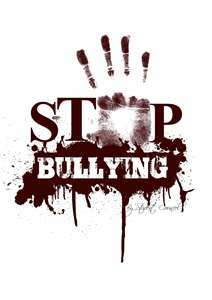 All states must draft and pass legislation regulating bullying. 4). Anger Management and or Executive Coaching can and must be publicized as a needed and useful intervention for perpetrators of bullying. 5). Organizational Anger Management should be included for use in business and industry to promote the prevention of workplace bullying. 6). Teachers, Administrators, parents and students should be provided Organizational Anger Management to teach how to respond early to signs of bullying behavior. 7).All intervention resources including Anger Management for bullying should be limited to evidenced based programs that include Pre and Post Anger Management Assessments as well as a curriculum and workbooks to make sure that the interventions are legitimate. Certified Anger Management Facilitators [ CAMF ] are currently the most credible providers of Anger Management and Evidence Based Organizational Anger Management Training. More Information is available at Atlanta Anger Management web site or call Richard Taylor CAMF at 678-576-1913.